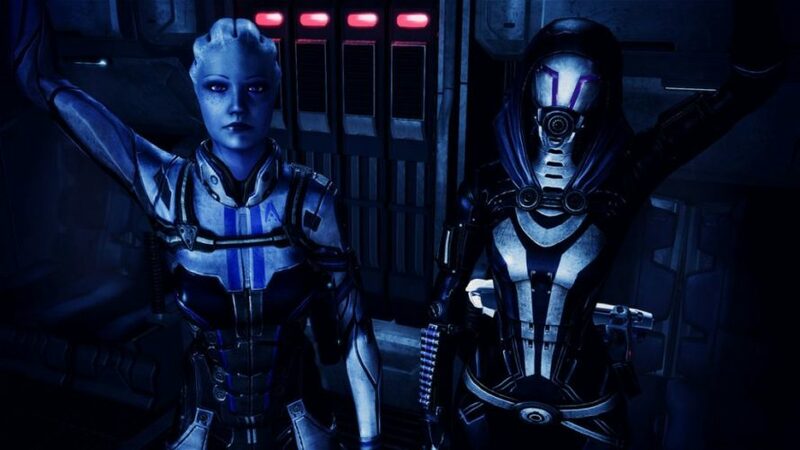 The Mass Effect Series is probably the best science fiction video game trilogy ever made. The intensity of the story, the development of the characters, the progress of an inevitably galactic war… every single aspect of the game is immersive and intriguing. Even though, strength is what conquers this astonishing world full of alien species, intelligence is what makes most of that strength possible – what would biotic powers do without science and technology? In the world of Mass Effect, knowledge is power and intelligence generates knowledge. So, who were the most knowledgeable remarkable female characters in the series? I’m not including males because… Let’s be honest, except for Mordin Solus there aren’t many male characters directly related to science in Mass Effect, women have a predominant protagonist in the field. Before we move on to the top 10 list, there are possible spoilers ahead. 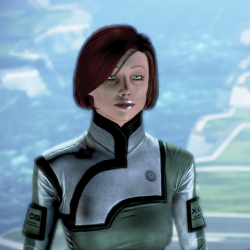 Dr. Chloe Michel is a medical supportive character in the Mass Effect series. She helps Commander Shepard during his journey, in the third game there is a chance that Chloe becomes the medical doctor of Normandy. 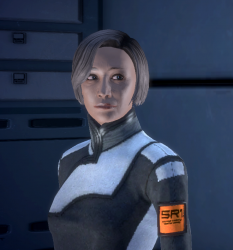 Dr. Karin Chakwas has been the main doctor of the Normandy since the beginning of the series; she has treated several crew members, including Joker and Commander Shepard. 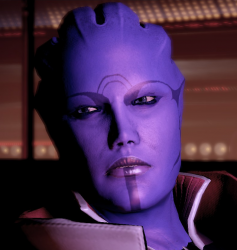 Her most notorious act was in Mass Effect 2, when she performed an extensive research on Shepard’s scars, concluding that the healing issue was triggered by negative attitudes and aggressive actions, which would create adverse reactions between the brain and the cybernetic implants. 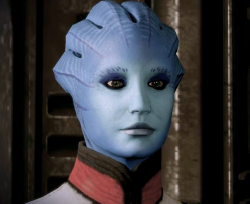 Rana Thanoptis is an asari neurospecialist and is involved in multiple indoctrination researches along the series. In Mass Effect 1, she discovers that indoctrination is a very dangerous procedure and it will most likely affect everyone in the facility, not only the captive test subjects as intended. Initially faced as a potential evolution stage, indoctrination starts to be seen as a disease that easily spreads across species. Dr. Brynn Cole is a physics scientist in Mass Effect 3; she worked for Cerberus and had access to the most advanced technology in the galaxy. Her main project consisted in researching about the communication apparatus between the Reapers and Collectors, trying to mimic the technology for human usage. Aria isn’t a scientist or anything close but her intellect and controlling skills have led her to do extraordinary things. She carried herself into Omega’s dominance in Mass Effect 2, becoming the “Pirate Queen” of the nominal capital of the Terminus Systems. She maintains control over the base through a sophisticated intelligence network that provides valuable information about trading and possible treats to her supremacy. 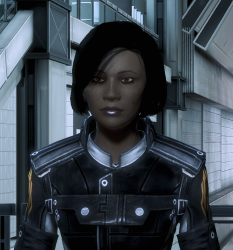 One of the squad mates of Commander Shepard in Mass Effect 2, Miranda Lawson is previously assigned as the leader of Project Lazarus. The Cerberus officer coordinates Shepard’s revival, that is expected to bring him/her back exactly as it was before, she then suggests the implementation of a control-chip that would keep track of Shepard’s every move. In Mass Effect 3, Miranda reveals her intelligent sources and abilities, as a fugitive working alone, she is able to track her sister Oriana and infiltrate the facility where she has been taken. 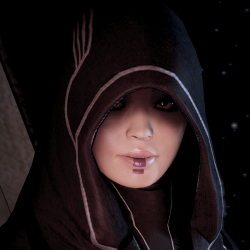 Kasumi Goto comes with a DLC pack for Mass Effect 2 and she’s the most enigmatic thief in the galaxy. She’s a true expert of sabotage, hacking, stealth and infiltration, using her skills she has kept herself invisible from her innumerous enemies. In Mass Effect 3, Kasumi fools the world by faking her death. 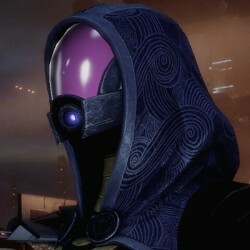 Known as a mechanical genius and geth expert, Tali’Zorah has proved her intellect worth during the series. She has been part of many plot missions and events on the three games and is definitely, the best quarian asset on the geth war. Using her knowledge about this fearless artificial intelligence race, she’ll play a crucial role in preventing quarian’s extinction in Mass Effect 3. Defined as Enhanced Defense Intelligence, EDI, is Normandy’s artificial intelligence defense program in Mass Effect 2. 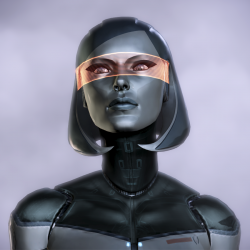 Mainly developed to be the Illusive Man’s eyes on the ship, EDI reveals to be extremely helpful to the crew, giving vital logistical information and presenting optimal solutions for every mission. In Mass Effect 3, EDI takes control of a synthetic body and starts to fully interact with living beings. Furthermore, she enters a progressing mode, ending up being able to develop feelings and emotions. 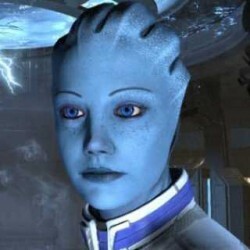 Liara T’Soni is an asari researcher who has spent most of her life studying prothean culture and technology. Liara will be unveiling protean secrets and discovers the plans for an unfinished weapon – the Crucible. She will support the plan, trying to convince the galaxy that there is a way by making those blueprints a reality. She’ll also create a time line capsule containing information about their cycle – in case of extinction, the next generations would have a chance to unveil the past.